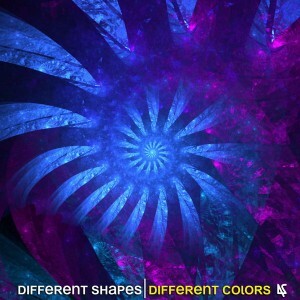 Different Shapes is formed by two guys from Hungary who joined the audio forces of electronica and a guitar. Different Colors is their debut album, smoothly melting together downtempo and ambient with guitar melodies, a hint of piano, and also psychedelic and meditative parts. Over the one year production period the music developed its true nature and manifested as an ever changing journey through sound waves. The album can be imagined as a path through one’s life, starting with birth and the peaceful atmosphere of childhood, but soon more tense feelings arise as the search for life’s purpose begins. Uplifting and melancholic emotions alternate on the way, finally offering a resting place for your soul in a peaceful meditation. Donations through Bandcamp would be very much appreciated! Mastered by Imre Pap with artwork by Capstoned. Meditation speech in Shaman Within by Mohácsi Viktória. Radio transmission sounds in Zero Gravity from NASA. MP3 Download | FLAC Download | WAV Download · Download count: 6,242. Very beautiful melodic colors !!! Five stars. This entire album is a great listen. Wonderful melodies and the sound quality is excellent, too. Five stars. Beautiful to meditate to. Serene sound. This is very sappy music, classifiable as ‘New Age’, IMO. It has the rigid sequenced production of an 80’s soundtrack. Pretty crude guitar loops in several songs… An occasional nice lush melody or chord, but nothing really adventurous or thought provoking. If you want some cinematic Berlin School type ambient electronica from this site, I say check out Easily Embarrassed or Electronic Fantasy before this. I like “Awakening” & “Summers Of Childhood”. …runs on “heavy rotation” on my stereo!